﻿Sticky Rice Rolls aka Fàn Tuán is a popular and inexpensive breakfast sold by street vendors in Taiwan. 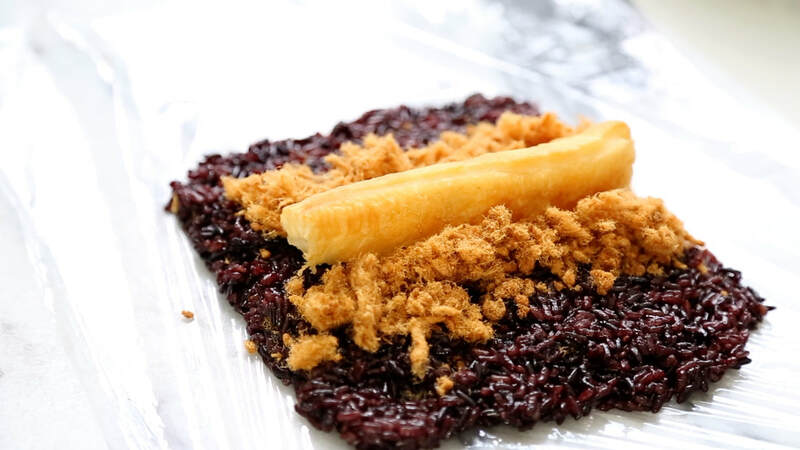 With it's warm sticky rice and customizable fillings, this grab and go meal is not only satisfying but tasty. 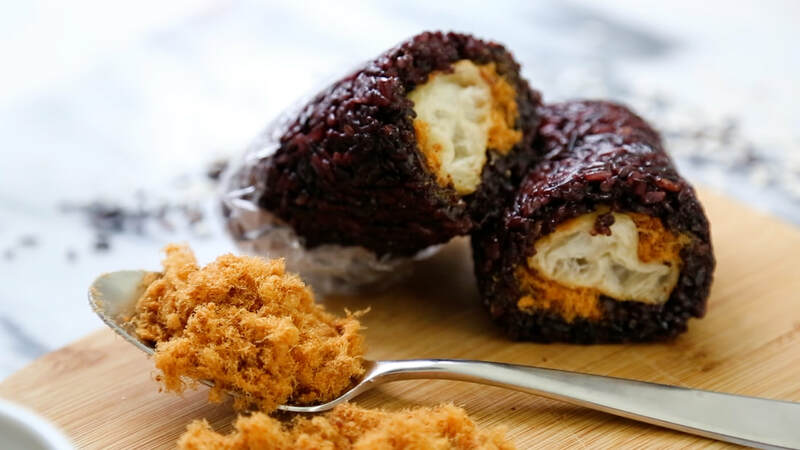 Traditional Fàn Tuán is made from either a white or purple sweet rice then filled with Chinese doughnut and pork floss. There's also other popular fillings like soy sauce egg, or even pickled radish and mustard greens . . . the options are endless. 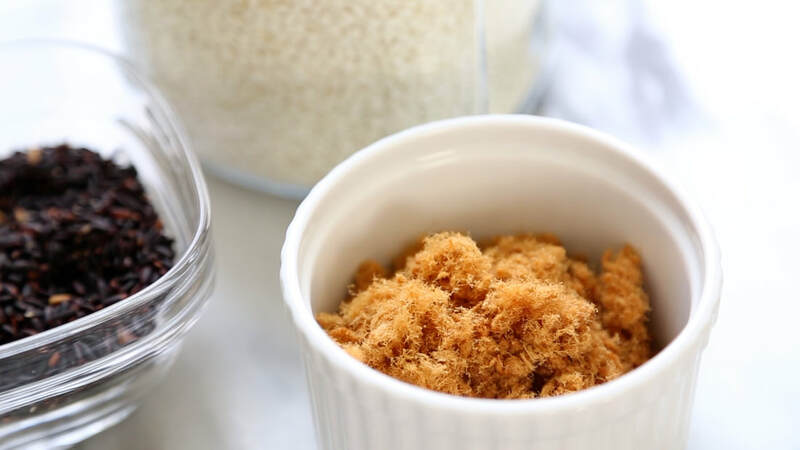 If you're new to making sticky rice, I suggest using a rice cooker with a "sweet rice" setting. 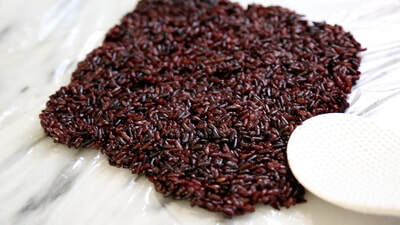 White sweet rice can get really sticky and filling, so I recommend mixing it with the heartier purple glutinous rice. TIP: If you like your rice extra sticky, use white sweet rice and let it soak in water for longer (example: 2-3 hours). Cook Time = 60 min. Wash and soak the sweet rice for 15 minutes before cooking. 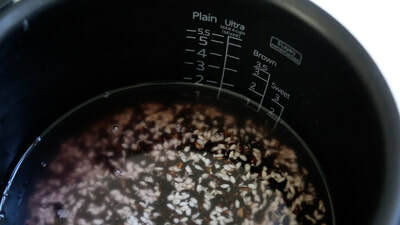 Cook in your rice cooker using the water line for "Sweet Rice". Prepare the fillings for your sticky rice roll. In this recipe I'm using Chinese doughnut and dried pork floss. After the rice is done cooking, fluff and let stand in the rice cooker for another 5-10 minutes. 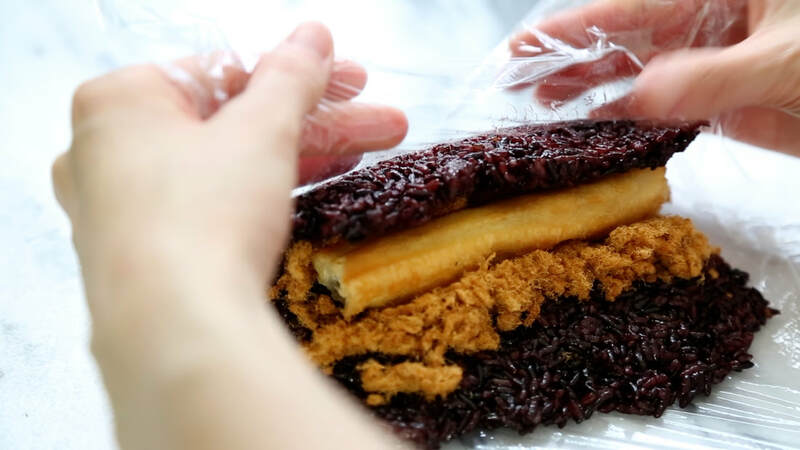 Prepare a piece of plastic wrap and scoop some cooked sticky rice and press into a square shape. 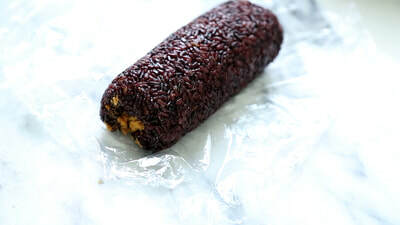 Fill with some Chinese doughnut and pork floss, then wrap into a roll using the plastic wrap.